Drive a vehicle that exudes powerful elegance with this feature-filled 2019 INFINITI QX50 ESSENTIAL offered by Red Noland INFINITI in Colorado Springs. This stunning Eclipse Black crossover delivers amazing performance, a high-end well-crafted interior, trailblazing technology, and some of the top driver safety features in its class. Whether carpooling to work or adventuring in the mountains, this stunning new INFINITI QX50 is ready for the job! Check out some of the luxury amenities included with this premium SUV from Red Noland INFINITI! This sleek new INFINITI QX50 delivers 268 horsepower of unbridled performance via a brand new 2.0-liter Variable-Compression turbo-charged I4 engine. Paired with the bold newly-designed engine is INFINITI’s new XTRONIC continuously variable transmission. This innovative new transmission offers seamless delivery of power and super-smooth transition between the gears. Power is delivered to an efficient all-wheel drive system, offering drivers excellent traction on any road surface. This robust powertrain provides exceptional fuel-economy, earning an estimated 24 MPG in the city and 30 MPG on the highway. Sensory Package – This package includes everything you would expect in a luxury vehicle. Appreciate a super-soft ultrasuede headliner, Natural Maple Wood interior details, memory seats, and a motion-activated tailgate. Enjoy the clear notes of your favorite songs with the amazing 16-speaker Bose® Premium Audio System. ProACTIVE Package- True innovations in the realm of safety including a convenient Head-Up Display, Lane Departure Warning/Assist, Blind Spot Intervention, Distance Control Assist, ProPILOT Assist, and much more! 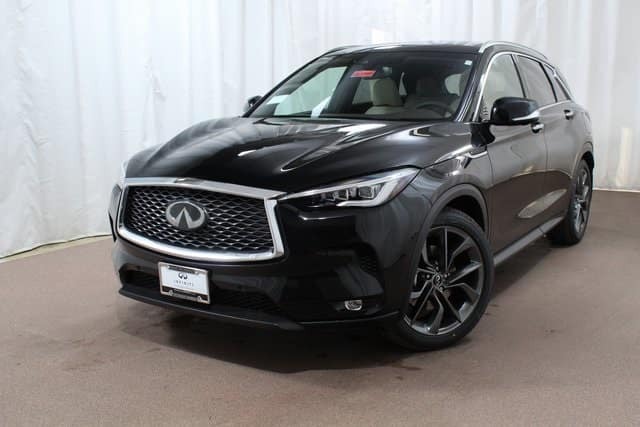 Drive this passenger-focused, feature-centric 2019 INFINITI QX50 ESSENTIAL home today for Red Noland INFINITI’s low price of only $57,130. Well-qualified buyers can own this stunning SUV with a low APR of only 1.9% for 72 months. This amazing low interest offer expires on April 30, 2019. 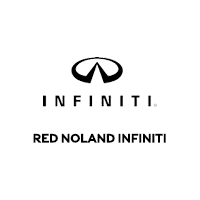 Stop in to Red Noland INFINITI today for your luxury test drive!